FORT STEELE, B.C. 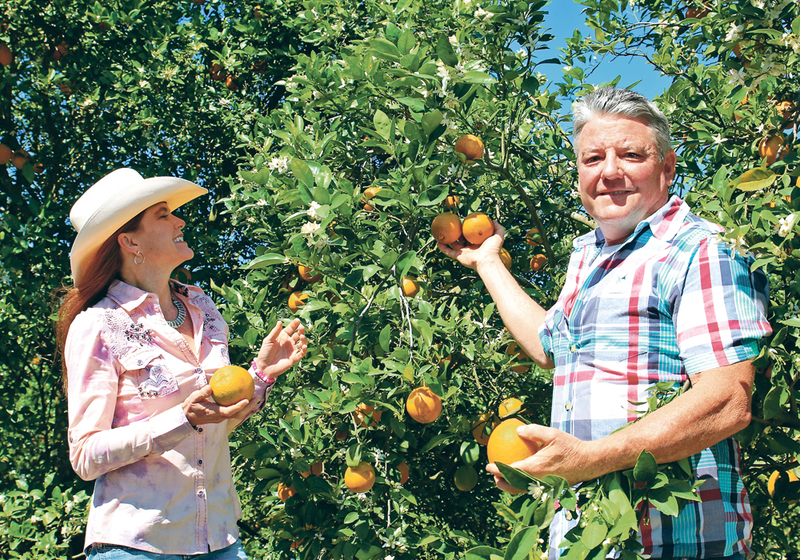 — Energy and enthusiasm for agriculture are in abundant supply at Cutter Ranch, owned and operated by Sacha Bentall and Tyler McNaughton. Their pasture-raised pork, lamb and beef operation, which they’ve developed over the past 10 years, required plenty of both attributes. Those same qualities also factored into earning them the 2018 Outstanding Young Farmer title for British Columbia and the Yukon. They’ll be considered for the national title later this year. “We’re not easily stopped,” said McNaughton as he described their drive for success. The ranch, named after Bentall’s parents’ ranch near Clinton, B.C., supports 125 Texel and Charollais breeding ewes and a herd of about 10 cows that the couple plans to increase soon. It also raises about 500 pigs each year, most of them Duroc because they do well on pasture, have good feed conversion and are easily handled. 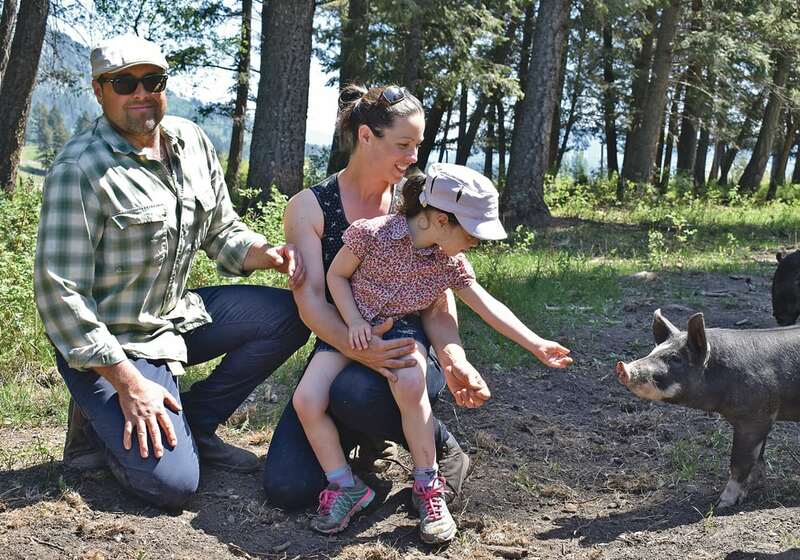 There are about 150 pigs on the ranch at any given time and as they finish, they are sold through farmer’s markets in Cranbrook, Invermere and Fernie, as well as at various restaurants and a grocery store in Nelson. They also deliver to customers throughout the year and are planning to scale up operations to service larger prospective customers. The mild climate in southeastern B.C. works well for their operation, she added. The pasture pigs, as the name indicates, are outside all year with access to shelter and bedding when needed. The sheep graze as well on Cutter Ranch’s 160 acres. The flock is brought into a smaller paddock at night as protection from predators. 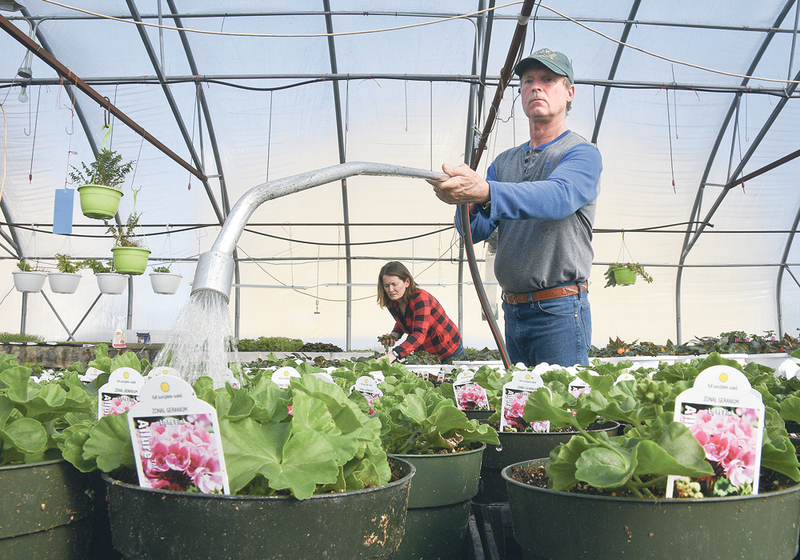 At lambing, Bentall and McNaughton use a greenhouse erected for the purpose. “It’s fascinating to watch how comfortable the animals are in there. It’s so bright. And even for us, when we’re lambing you’re in this nice bright building and everything stays really dry. It’s the first building I’ve seen where you open the doors and the animals choose to pile in,” Bentall said. The ranch gets many visitors, from school groups to people interested in seeing farm animals. Both Bentall and McNaughton feel there is more interest now in how food is produced and they’re open to feeding that interest. 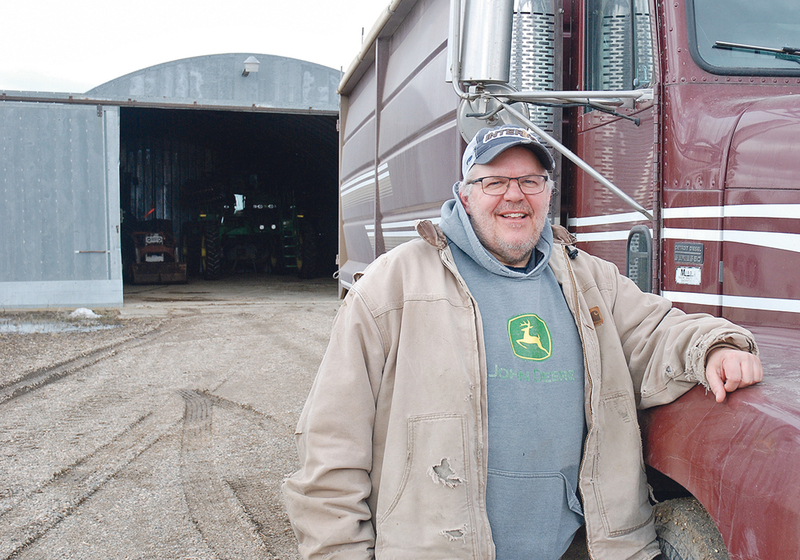 “It really speaks to the thirst that people have for wanting to be connected to agriculture again,” said McNaughton. “People are just really interested and really inquisitive when they come out here and that’s really encouraging to see. 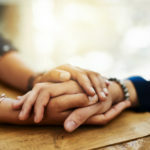 They want to be connected to it and that’s a big part of the function of our operation, is we provide a fairly high degree of connectivity. McNaughton was raised on a dairy farm outside Winnipeg. 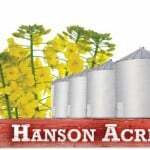 He has a diploma in crop management and a degree in agri-business from the University of Manitoba. Bentall was born in North Vancouver and then moved with her parents to the ranch near Clinton at a young age. She completed the advanced farrier science program at Olds College and still keeps her hand in that trade. 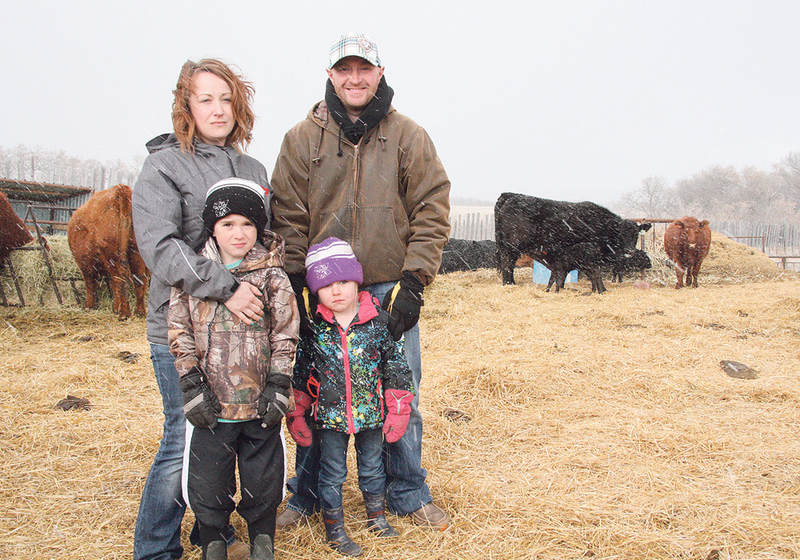 Their two daughters, Rylee, 6, and Bryn, 4, are important individuals in daily farm life and in the operation’s philosophy. 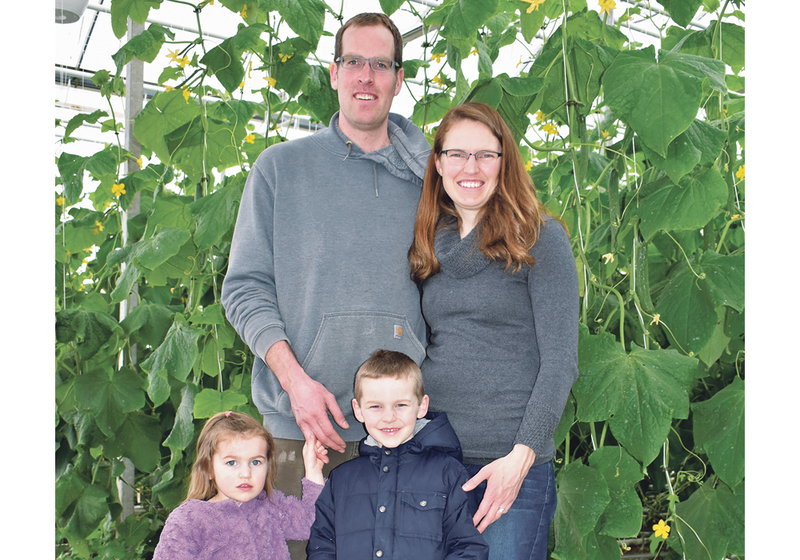 “We basically try and stick to five goals … to farm as a couple and raise our two daughters; raise high quality product; do it with a high degree of land stewardship in mind,” said McNaughton. The fifth goal, said Bentall, is to meet the expectations of customers by giving their animals all that they need to provide quality protein. “We provide our animals with the highest quality care, in a low stress environment with the highest quality feed and health protocol and all of those things that are inevitably going to lead to a high quality product,” she said. Those things cost money and that is reflected in product price. Cost of production has to be covered and the business has to be profitable. 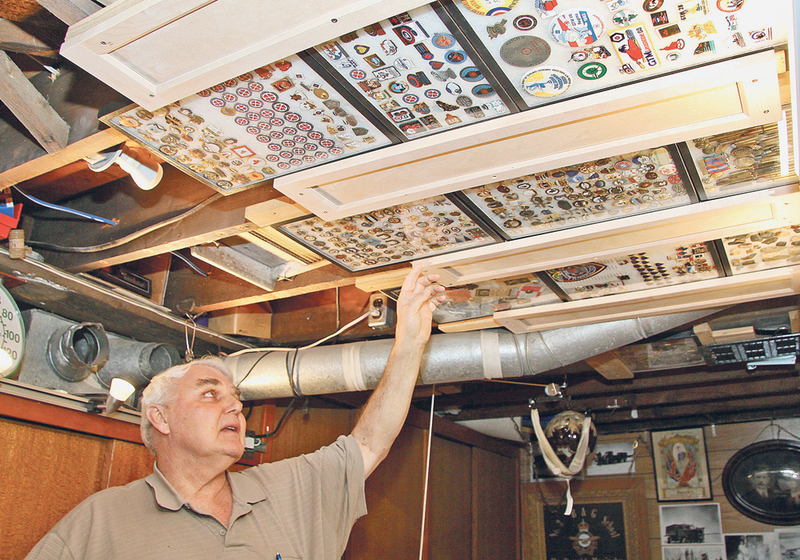 “People not willing to pay for the product, there’s always going to be those people, but we just keep going ahead and finding customers,” said McNaughton. It helps that people who frequent farmers markets tend to be well informed about what they are seeking in their food, he added. The operation is now at the point where they feel the kinks have been worked out and it’s ready to scale up. 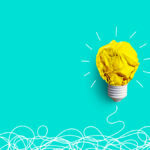 Market research is continual, in the form of direct feedback from their customers. Bentall views it as a circle in which they raise the product, deliver it direct to the customer, answer any questions they have and get their views on product quality.